Bind-It™ is a safe, gentle and extremely effective cleaner that binds and traps radioactive iodine allowing it to be removed from most surfaces and skin. When Radioactive Iodine leaves your body through urine, sweat, breath, etc., it can cause radioactive contamination. If another person comes in contact with the radioiodine contamination, it may be absorbed and enter their thyroid. If I131 if absorbed by a person with a normal thyroid, it may damage their healthy tissue and potentially cause future thyroid problems. Children have smaller thyroids than adults, the impact of radioiodine contamination will be greater on their thyroids. Pregnant women and small children should be especially cautious around potentially contaminated areas to avoid any internal uptake of radioiodine. Why take chances? Bind-It™ products are proven to be extremely effective at removing radioiodine (I131) from almost any surface, including your hands and skin. Order your Bind-It Patient Care Pack! 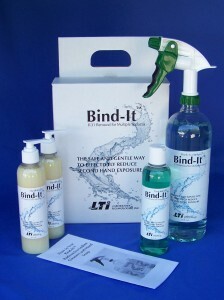 Bind-It™ products work by trapping the Radioactive Iodine in solution. Then it can be wiped away or rinsed from surfaces that you may have contaminated as the Radioactive Iodine is eliminated from your body. Surfaces such as toilets, sinks, showers, bathroom floors, door knobs, telephones, remote controls, etc. should all be thoroughly cleaned with Bind-It™ to avoid spreading contamination. For toilet bowls, squirt a few tablespoons of Bind-It™ Concentrate into the toilet bowl, then scrub with a toilet brush. Wait about 1 minute, then flush. 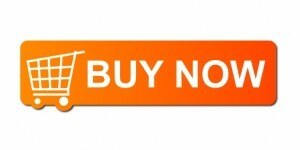 Detailed instructions and suggested uses are included with your order.